Good Taste is a BRAND NEW website features 25 eateries with full descriptions of ambience, signature dishes, a few of the chef’s favorite recipes and contact information. Did you ever hear about the Spinnersville Hotel Restaurant? (Did you ever hear of Spinnersville?) If you like a good selection of craft brews – say, well over 300 of them – you will be thrilled to know about this place. Interested in farm-to-table fare with an indian spiced bloody mary? YES. With as much enthusiasm as I can muster, YES. You can get both at the Farmhouse in Emmaus. Take a few minutes to read about the places and people who love them with this welcome new addition to local online reference. If it involves food, I’m pretty sure we’re all board. 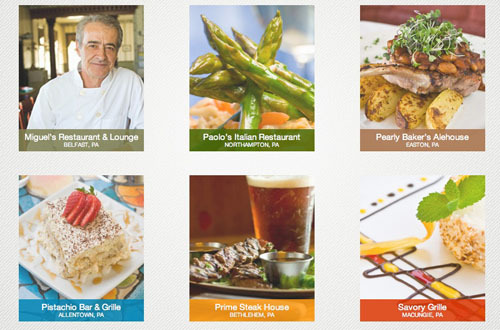 Go HERE to learn more about this new site and it’s featured restaurants. And when you’re done, want to grab lunch?